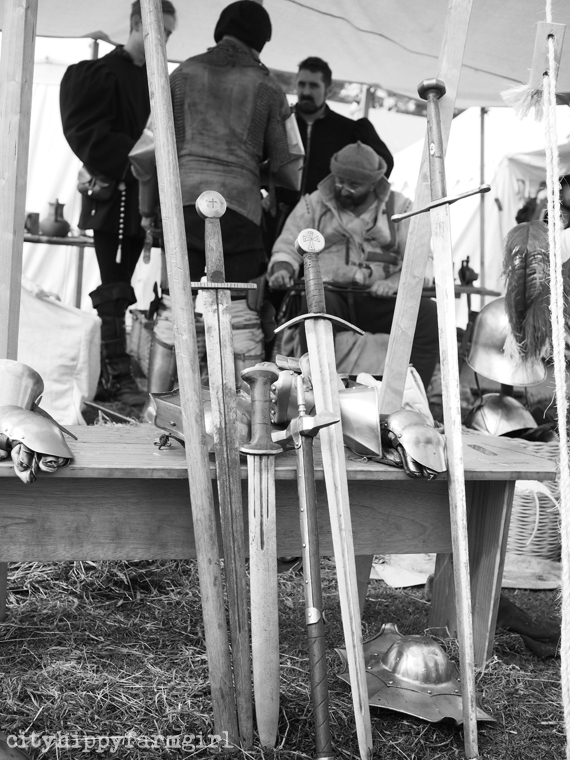 Battles, jousting, traditional living, swords, birds of prey, there was quite a lot to love at the St Ives Medieval Faire. For someone who has no made no secret of a love of all things Viking and Nordic influenced, well, there was quite an excited lead up to this one. Located on the edge of the Ku-ring-gai National Park, the festival was running for the second year, and despite a rainy start, it didn’t keep people away. Mud splattered boots and sodden velvet gowns just adding to the medieval atmosphere. 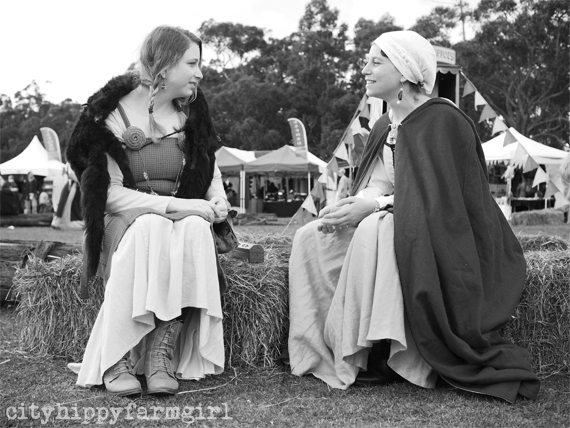 The festival had a fascinating traditional village that was made of different re-enactment or living history groups from all around Australia. Living, eating, dressing, and crafting as they once did. Ahh, all so interesting…and so good! 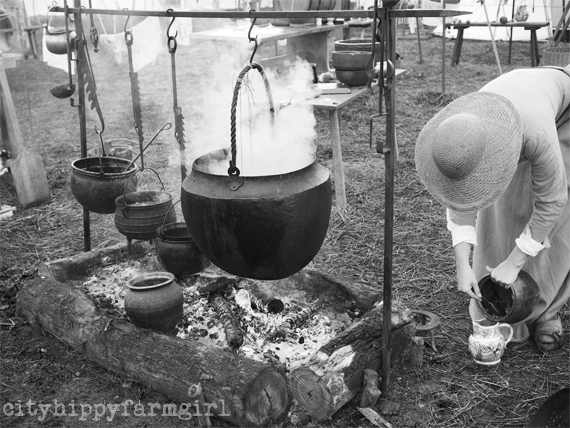 With the smell of soft wood smoke in our hair, leather cuffs on our wrists and happy tired smiles on faces. 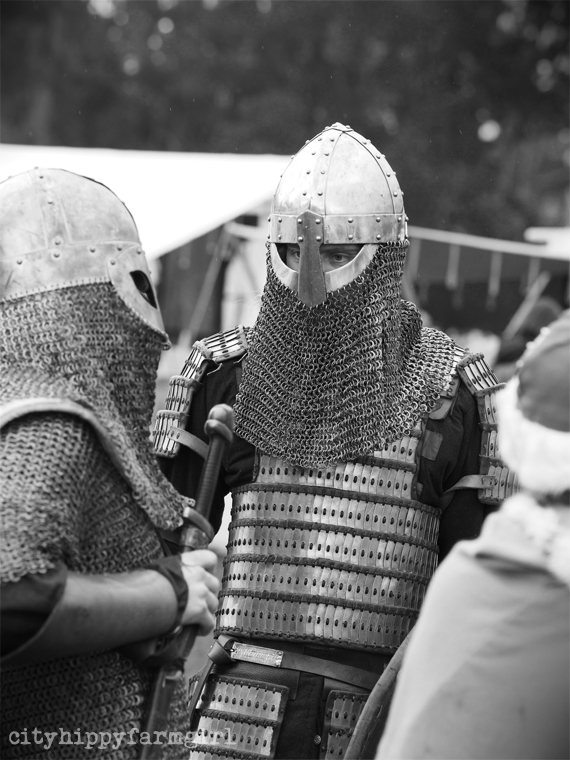 There were vows of returning next year for another Medieval Faire, well how could we not? 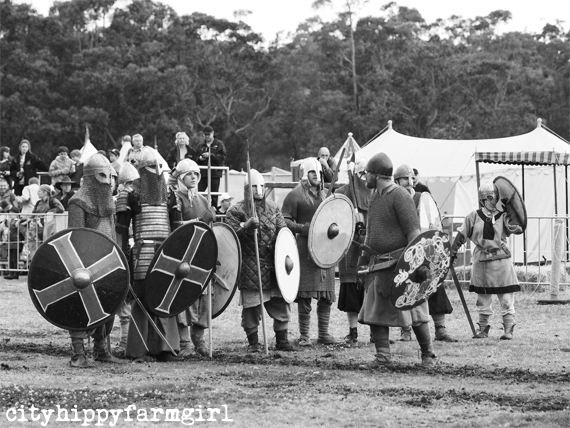 This entry was posted in Connecting with Community, Photography, Rambles, Waffles and Digressions and tagged anglo saxons, australia, jousting, knight, medieval reenactment, St Ives Medieval Faire, vikings by cityhippyfarmgirl. Bookmark the permalink. Do it Saskia. 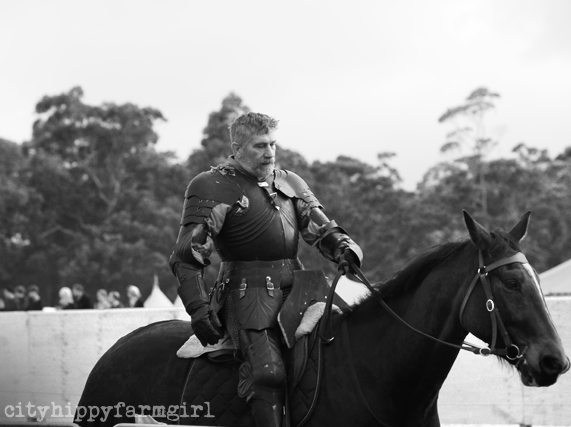 One of the jousters was from there, actually I think the Birds of Prey people might have been from there as well. I just had a look at the website, ha!…you can stay there as well. Fun. Fun, fun, fun and great location. Something completely different for a weekend Rachel. Aw, thanks Jane. Great to have you drop in. The photos were fun to take. So much fun Rose, so much. I almost can’t believe what I am seeing…on our own soil! Fantastic photos Brydie. It sounds like an incredible event. 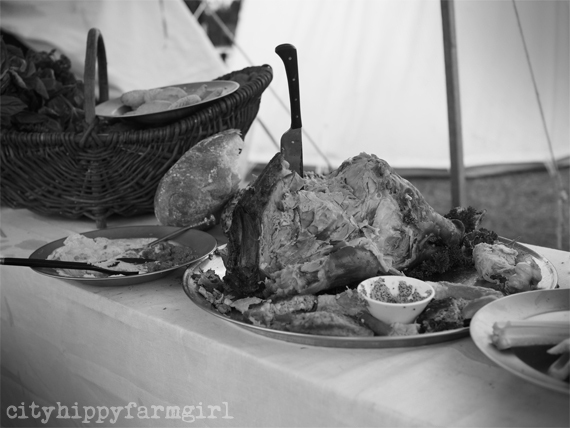 I was blown away just checking out the website with the details of the program, medieval feast and artisan village. It would of been amazing to of been there. “The Normans are coming!” At least it wasn’t the Vikings. Doesn’t that man look perfectly “right” on that horse? I am thinking he is perfect “King Richard” material. Excellent images and well covered ma’am. Great pics Brydie! I really wanted to go but there wasn’t a lot of info about it and I couldn’t find ay blogs about it so I ended up not going. Now I wish I had gone! I was supposed to blog about it before it happened! I just didn’t get to it because of Arabella’s birthday party. Next time! Excellent photos! 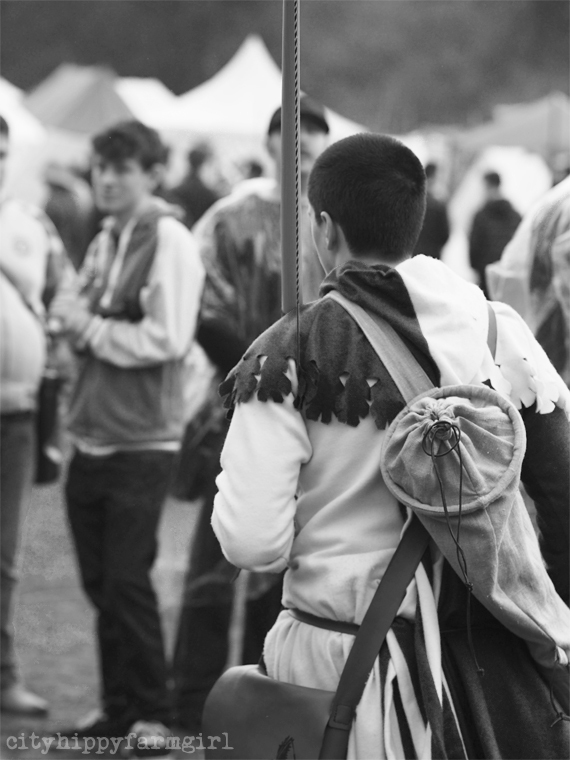 You captured one of our Medieval Archery Society archers from behind! (Which, truth be told, is probably his best side!) Glad that you enjoyed the Faire! Hope that you had a chance to shoot on the archery range? If not, do next year! Archery is some of the best fun available! Richard, thanks so much for dropping in. Your archers were wonderful, and the whole faire so much fun. I’m definitely looking forward to next year!